Industrial keyboards are high-quality sealed keyboards for industrial use and are ideal for prolonged and consistent typing throughout a works day. 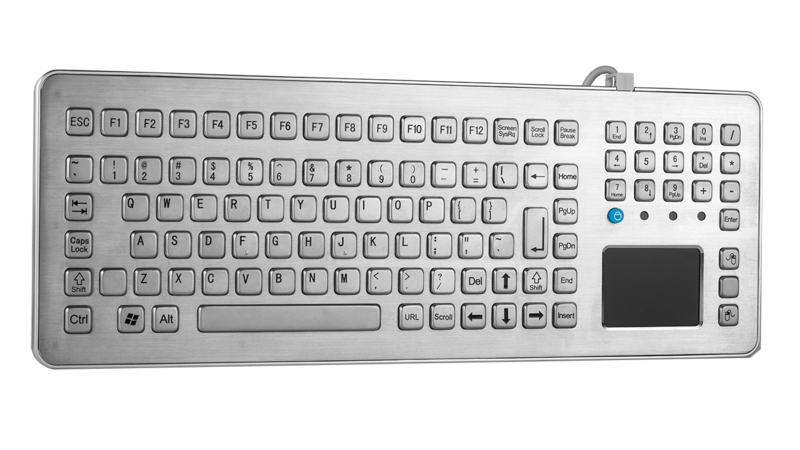 KeeTouch desktop keyboard with built-in touchpad is made of stainless steel. It is protected from dust and moisture (IP 65) and resistant to mechanical, chemical and physical influences. Touchpad is used instead of computer mouse and saves the workplace.